Graduated from the Faculty of Oral and Dental Medicine and Surgery at Misr International University in Cairo, Egypt. After having spent several years as an owner of multiple practices in Egypt, her commitment to excellence in the field of dentistry and a desire to practice in the United States brought Dr. Ghattas to New York. Upon completing her post-doctoral training at Columbia University, followed by a one-year residency at New York Presbyterian Hospital (CUMC), Dr. Ghattas has obtained extensive restorative and surgical training, including full mouth rehabilitation and implant therapy. Exemplifying her expertise, she maintains memberships in the American Dental Association (ADA), New York Dental Society (MDS), and International Congress of Oral Implantologists (ICOI). 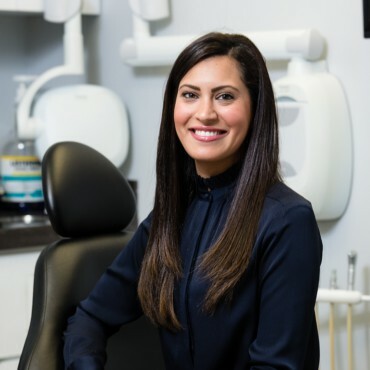 Dr. Ghattas is passionate about providing the highest quality care to her patients and is dedicated to excellence in prosthodontics, from preventative care to restorative, cosmetic and implant dentistry. Outside of dentistry she enjoys playing tennis and exotic travel with her husband and their young daughter. Dr. Ghattas is fluent in English and Arabic.